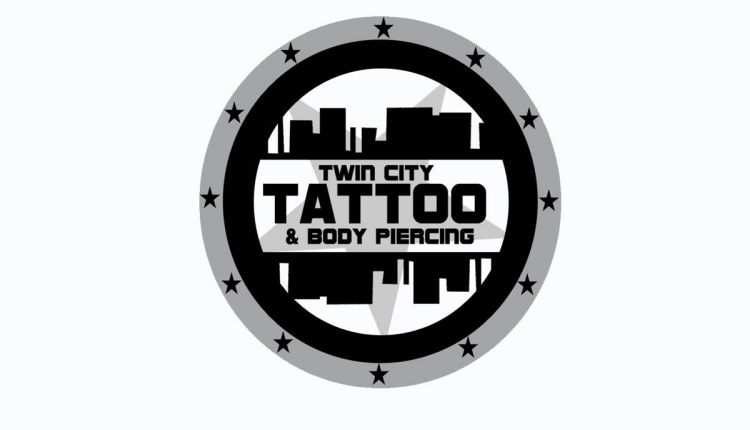 SAVE TWIN CITY TATTOO & BODY PIERCING. An injustice has been dealt to a local business owner. Brett has been the owner of Twin City Tattoo & Body Piercing for 25 years.He has been tattooing for 25 years and calls the Border region his home. Business was booming, so he opened another shop over the border in Albury, NSW. Now, on April 12th 2019, Brett will be forced to close the doors to his NSW business due to the handing down of a judgement stating he is "Not Fit to run a business"! This is due to Police claiming he was involved within an OMCG. What right do the Government, politicians, Magistrates or even Police have to dictate to us who we can and cannot be friends with? I thought we lived in a free Country. We are forever told "Support Local Businesses"...obviously we have as there was a call to open a second shop...now because of the injustice handed down, we will have another vacant shop, more people unemployed and a business closing because of a ridiculous ruling. WE NEED TO STOP THIS BULLYING BY OUR GOVERNMENT! Plain and simple, it is exactly what it is. Brett is a human being, a father, an employer and a tax payer. Is it right he be treated this way? NO! The amount of Charity donations his business supports is a credit to him. a local girl received a large donation for her shave for a cure, a local gent declared he would have the Camp Quality logo "Giggles" tattooed on his body if his goal was reached. Brett donated not just financially from the business, he also donated time, equipment and staff to make this happen.....for Charity. People dont see this as it is only ever negative publicity regarding tattoo shop owners as they "must be" associated with an OMCG. The perception of people can be so very, very wrong! GET BEHIND BRETT AND SIGN THIS PETITION TO SAVE A LOCAL MAN'S BUSINESS. Below is an edited version of what was reported in our local paper, ( names have been removed for privacy reasons). "The tattoo licence of an Albury business owner has been stripped after NSW Police accused him of having links to an outlaw motorcycle gang. Twin City Tattoo has shops in both Albury and Wodonga, but this week’s verdict from the NSW Civil and Administrative Tribunal means owner Brett can no longer run the Albury shop after April 12. Now 52 years old and living in Lavington, he is considering his options for appeal and says “I’ve done nothing wrong”. Department of Fair Trading laws were introduced in 2013 to stop turf wars between bikie gangs using the tattoo industry. Brett was deemed to not be “a fit and proper person” after NSW Police claimed he was involved with an OMCG . Brett had been running his tattoo business on the Border for 25 years without any “bikie gang” issues. Brett said a “lethal threat” tattoo on his arm was a surfing logo, denying police accusations it was “plainly similar” to the OMCG symbol. NCAT senior member Geoffrey Walker said despite Brett's comment that he was “too old”, he was likely still sympathetic the OMCG’s “nefarious activities”. “He needed to establish that he has effected a complete and enduring rupture with the club for an extended period and is not vulnerable to pressure or influence from it,” he said. Brett said he hoped the Border community could get behind him as a business owner who has supported many charities over the years and assured his Albury clients they would be looked after at the Wodonga shop. He was disappointed by the NCAT decision, saying the tattoo licence laws were brought in to stop issues in the city, but “there is a massive difference between Albury and Sydney”. Brett represented himself at the hearing, but was up against two barristers acting for the Department of Fair Trading. A lawyer was looking over the NCAT judgement this week to provide advice on where to go next. "I'm definitely going to try to lodge an appeal against it," he said. "I haven't done anything wrong. What they're saying is I could do something wrong, because who knows why." STOP BULLYING FROM OUR GOVERNMENT. The government tells us to ‘support Local Businesses’, yet in this instance, they are closing the doors on a Local Business. Is this fair all because of people the owner knows? NO! Is this fair the government could be sending a number of people to seek out benefits as they are losing their jobs? NO! Is this fair the Government is making another local shop become vacant? NO! Is this fair that the families of the owner and employees will have no income coming in to support them? NO! Yet in the eyes of the government, this must be acceptable to happen. All because of friendships. It is grossly unfair and we need to take a stand against this happening to more and more businesses. Many a tattoo shop have been scrutinised and closed down due to the laws involving OMCGs. The Government has a perception that if you have a tattoo shop you must be associated with OMCG’s. NOT TRUE! In saying this, they do not realise the members and friends of OMCG’s are ordinary everyday people who work for a living, have partners and children, have employees, put money back into the community, support fundraisers, pay taxes and support their families. The Government quite happily take their taxes payable yet want to close the doors of a thriving LOCAL businesses. This is a gross injustice of being an Australian Business Owner. The Minister for Fair Trade will be sent this petition. We need to take a stand against the bullying from this government as to who we can and cannot be friends with in a business-related environment. We live in a Free County don’t we? Please sign this petition to save another thriving local business from closure. Sign to stop this injustice happening within our localities. Sign, as our freedom as Australians is being unjustifiably dictated by our Government. Sign, and help Brett save his local business. The persons who sign this petition are signing to help a local businessman save his business from closing. The persons signing are supporting this businessman and are fed up with being dictated to by our authorities and Governments as to where we should shop, who to be friends with etc. We are supposed to be a Free Country! Please sign to support this business who has been local for 25years. The Minister for Fair Trade shall be sent this petition. The SAVE A LOCAL BUSINESS FROM INJUSTICE petition to THE MINISTER OF FAIR TRADE NSW was written by Stormlady1971 and is in the category Business at GoPetition.